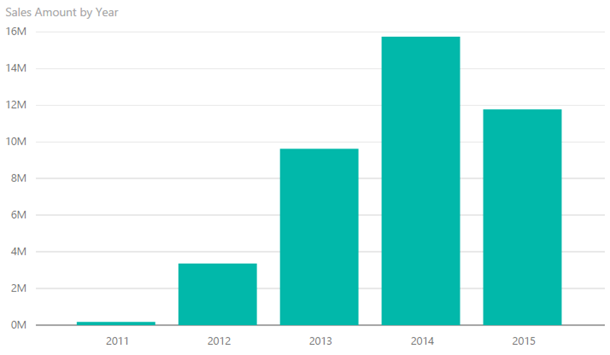 In the August update of Power BI Desktop, we released the general availability of inline hierarchies. Inline hierarchies let you explore your data as you drill down in the context of your hierarchies. As an example, imagine you were looking at your Sales Amount by Order Date. You start out looking at each year, and now you want to see quarters as well. 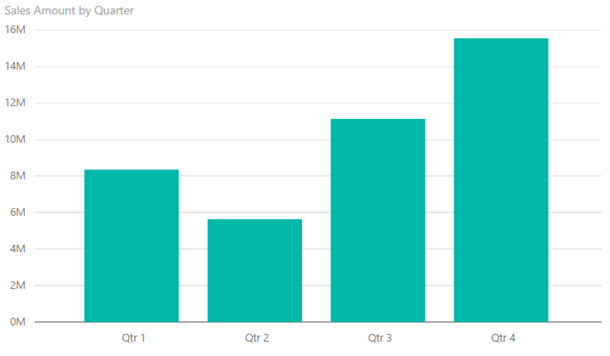 When you expand down using inline hierarchies, we will carry the parent category down so you can differentiate the sales in each quarter for each year. The previous behavior for drill wouldn’t split out individual quarters by year. It would show sales in each quarter across all years. In the August release of the Desktop, we took inline hierarchies out of preview, and replaced this previous drill experience with the inline hierarchy experience. Since that update, we have heard feedback from you that while this new experience is very useful, you still have a need for the older experience, especially when using drill with unrelated categories in the hierarchy. 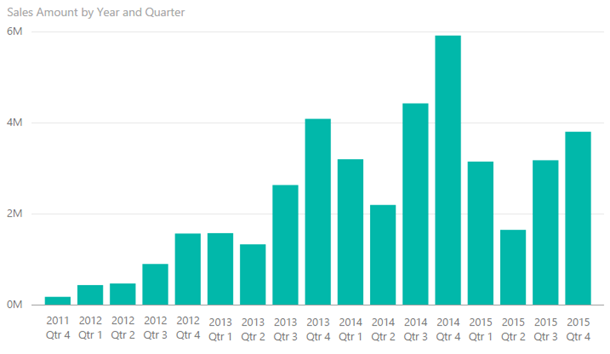 We listened to your feedback, and today we are releasing an update to the August Power BI Desktop release that gives you the ability to use both of these experience in one chart. Once you install this update, you will see two buttons on a visual that has a hierarchy in the axis. The double down arrow icon ( ) will do the previous experience of showing the next level of the hierarchy, and the split arrow icon ( ) will perform the new inline hierarchy experience explained above. You will see this update in the Power BI web service as well. Thank you everyone for the great feedback on our last release! We hope you enjoy this new update, and please continue to give us valuable feedback about our product in our community.